Egyptian President Muhammad Morsi gave a major speech on Wednesday, commemorating his first year in office and attempting to mollify his political opposition, which is planning to try to unseat him with massive street demonstrations on June 30. A defiant Morsi criticized the opposition and the judges and asked that criminal investigation be launched into Ahmad Shafiq, his rival in last your’s presidential elections, who has served as Hosni Mubarak’s last prime minister. He said Shafiq should surrender himself to the judiciary. He said he understood that the opposition differed with him, but rejected its participation in something that could unwittingly attack the revolution. He suggested the formation of a police unit to combat thuggery and acts of violence. He also offered to form a committee to draft amendments to the constitution passed last December, which the opposition rejects. He said it should comprise members of all the political parties and that its suggested amendments would be forwarded by the president to the speaker of parliament. He also wants to form a High Commission on National Reconciliation,including youth, revolutionary forces and labor, that would prepare measures making for greater national unity going forward. He asked his cabinet members and provincial governors to fire any employees responsible for creating the shortages from which Egyptians suffer, and asked them to appoint aides from among youth less than 40 years old, and to cancel the licenses of any gasoline stations not actually providing gasoline to the public (i.e. 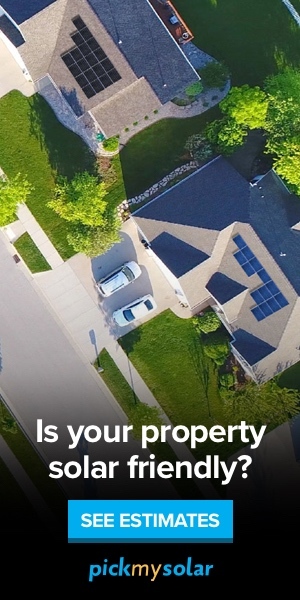 those guilty of hoarding so as to drive the price up). In a particularly ugly and alarming part of his speech, Morsi accused media moghuls of using their privately owned television stations against him, saying that they are personally corrupt, guilty of tax evasion and corruption and that they host counter-revolutionaries such as Ahmad Shafiq as commentators. 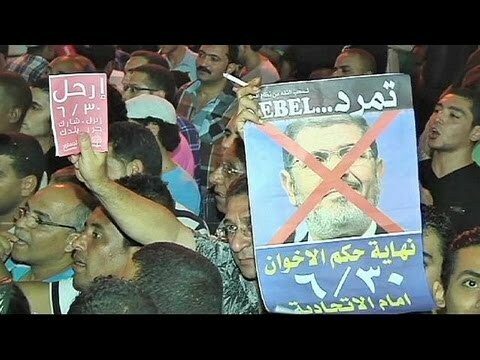 Morsi’s speech was greeted with sarcasm and bitter criticism by the protesters and clashes broke out in the provinces between pro- and anti-Morsi forces. In some places, the opposition attacked headquarters of the Muslim Brotherhood or the personal property of Brotherhood officials. The June 30 Coalition said it was planning out the governance of Egypt after Morsi had stepped down. The opposition complained that Morsi’s speech offered nothing new. Dalia Ziyadeh, the director of the Ibn Khaldun Center for Human Rights, said that the speech was “extremely long, and disappointing to most of the citizens who were waiting for practical solutions to the daily problems that they face because of the failure of the ruling regime in managing the affairs of the country.” She said she wasn’t impressed with Morsi’s confession that he bore responsibility, since this principle is natural. She said he had praised the police for never sleeping but then admitted that thugs control the streets, and called on him to have the latter arrested immediately. Ms. Ziyadeh pointed to the virtue of Morsi’s appointee to govern Luxor, who resigned when it became clear that he was unacceptable to the people of that governorate, and urged Morsi to follow his example, since a majority of Egyptians rejects Morsi’s presidency. She also challenged Morsi’s assertion that he had not infringed on anyone’s rights or freedoms, pointing to the arrest of journalists and demonstrators, the closing of television channels, the marginalization of women, and laws cooked up to hamstring NGOs. She said that Morsi’s threats of jailing the opposition were laying the foundations of a new dictatorship, which revolutionary Egypt rejects out of hand. In Tahrir Square, protesters chanted at Morsi, “Leave, leave!” and “The people want the fall of the Brotherhood,” and “One, two, where is the Egyptian Army?” Some of them waved shoes at Morsi’s face on the wide screens set up to broadcast the speech. Hundreds also gathered at Caid Ibrahim Square in Alexandria and asked for the president’s departure. In Sharqiya Province, villagers from Faqus set fire to the local HQ of the Muslim Brotherhood’s Freedom and Justice Party. (Morsi was born in Sharqiya). They also attacked a pharmacy owned by Brotherhood figure Dr. Farid Ismail, and prevented firetrucks from putting out the fires. The mob then surrounded Ismail’s house and tried to set it afire. The police were nowhere to be seen. Pro- and anti-Morsi forces clashed in front of the governor’s offices in Sharqiya, as well as in Zaqaziq (near the home of Morsi). Further fighting took place in Alexandria (13 injured), and Minoufiya (15 wounded). In the provincial depot city of Mansoura, clashes between the two sides led to 2 deaths among Brotherhood members and the wounding of 243 persons. In all, nearly 300 persons were wounded on Wednesday. Egypt continued on its way toward a fateful train crash on June 30.